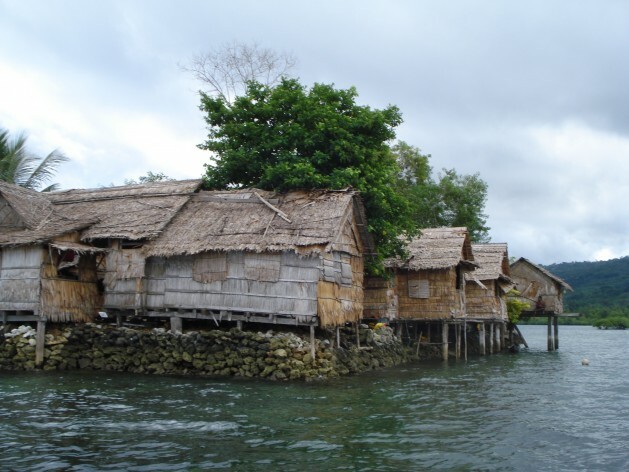 Sea level rise threatens Raolo island in the Solomon Islands. Credit: Catherine Wilson/IPS. UNITED NATIONS, Apr 21 2016 (IPS) - The Paris Climate Change Treaty represents an historic step forward in the international effort to address the crisis. The Alliance of Small Island States (AOSIS) played a key role in its adoption and were instrumental in winning the inclusion of the 1.5-degree temperature goal. Many islands are already experiencing severe climate impacts such as devastating storms, flooding and droughts. The damage caused by Cyclone Winston in Fiji earlier this year is an indication of just how powerful and destructive tropical cyclones are becoming with climate change. What’s more, we have also see the other extreme. Right now, parts of Micronesia are in the worst drought they have experienced in years. My own country, the Maldives, is also increasingly susceptible to water shortages, which costs us tens of millions of dollars to manage. Our vulnerability to climate impacts gives islands unparalleled moral authority in the climate debate. But we also show leadership through action. The first four countries to ratify the Paris agreement—Fiji, Republic of the Marshall Islands, and Maldives—were all islands and AOSIS members. It is critical that all countries ratify as quickly as possible so we can accelerate the move to a low-carbon global economy. The harsh reality is, as important as the agreement and signing is, what matters most is the rapid implementation of its objectives. To avoid the worst impact of climate change, it is critical that we expedite the deployment of climate solutions in the short-term, before 2020. Pre-2020 action has been an important issue for AOSIS going right back to the Durban mandate. In the preamble of the Paris decision we also emphasized our concern with the significant gap between aggregate mitigation pledges to 2020 and pathways consistent with 1.5 or 2 degrees. In the Paris Agreement we agreed to pursue efforts to limit the temperature increase to 1.5 degrees above pre-industrial levels. Even though the Paris Agreement comes into effect in 2020, we are all already taking actions back home, but there is a significantly need to accelerate the pace of these efforts. We welcome all of the pledges made to the Green Climate Fund (GCF) and look forward to it playing an increasingly important role on climate finance going forward. A well-capitalized GCF is critical to removing some of the obstacles that prevent higher mitigation targets for many developing countries. Just as important is ramping up adaptation efforts. A Maldives project was one of first funded by the GCF to improve our water security. These kinds of projects are absolutely critical for us and many other vulnerable communities to build resiliency to climate change impacts that have become impossible to avoid. Delivering means of implementation is an extremely important issue for small islands and all developing countries. It is difficult for small countries with limited resources capacity—financial and technological—to undertake all of the adaptation projects that we need to undertake and the mitigation initiatives that we would like to take. It is clear that multilateral support is very effective in driving climate action. Meeting the 55 percent emissions threshold will require a number of big emitters to overcome barriers and ratify. But this is not impossible, and could occur before the originally expected 2020 start date. Early entry into force would build political momentum and boost investor confidence. Ambassador Ahmed Sareer is Permanent Representative of Maldives to the United Nations.